Garden Supply company Pride Garden Products decided it was time to ramp up their online strategy with an updated website with e-commerce capabilities. With significant improvements in Woocommerce, Dinkum chose to leverage that and the add-on community around it to build their platform. 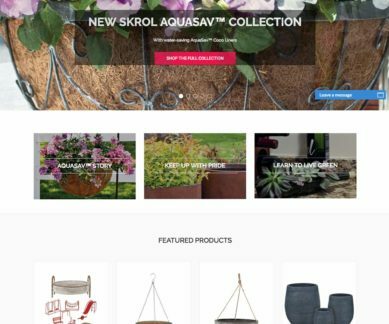 With a clean design, a robust search engine in Algolia, we’ve since added some marketing capabilities that allow them to communicate, reward and customize their customers shopping experience. As with everything we do, attention was given to their SEO foundation which continues to show growth. After remaining flat for a while, the new website provided a good boost in keyword visibility that continues. The new website and ongoing management relationship should see the Pride Garden Products web presence to continue in the right direction.